Here, in my opinion, are some of the better known chess historians or those who have written on chess history. Manuel Aaron (1935- ) is the first Indian chess master in the second half of the 20th century. Aaron and noted chess historian Vijay D. Pandit have written a comprehensive book on the history of Indian chess starting from 570 CE to the year 2010. The 600-page book, published in 2014, is titled "Indian Chess History: 570 AD — 2010 AD." Peter Banaschak is a German chess historian and student of East Asian sciences. He has written on the history of chess and oriental chess, such as Xiangqi, Changgi, and Shogi. His doctoral thesis was on the history of chess in East Asia. Dr. Jose Brunet y Bellet (1818-1905) was a writer and chess historian. In 1890, he wrote, "El Ajedrez: Investigaciones Sobre Su Origen." Henry Edward Bird (1830-1908) was a civil servant (railway accountant) and a strong English chess player. In 1893, he published, "Chess History and Reminiscences." Nathaniel Bland (1803-1865) was an English Orientalist and chess historian. In 1850, he wrote "Persian Chess." It was an account of the origin of the game, starting in Persia on a large 10 x 10 board. Dr. Andreas Bock-Raming is a professor at Gutenberg Univerisyt in Mainz. He teach modern Hindi and has had an interest in the history of chess. He has written on Old Indian chess figures. In 1996, he made a translation and interpretation of the description of chess in the Manasollasa, the Sanskrit compendium of kingship. His analysis was published in the Indo-Iranian Journal 39, pages 1-40, 1996. In 1999, he wrote an article called "The Gaming Board in Indian Chess and Related Board Games," published in Board Games Studies, #2. Dale A. Brandreth was a book dealer specializing in old chess books and chess items. He owned at least 20,000 individual items on chess, including books, magazines, photographs, letters, drawing, paintings, chess medals, chess stamps, etc. Neil Brennen is a historian for the Pennsylvania State Chess Federation. He is co-editor, with Olimpiu Urcan, of "Adolf Albin in America." Dr. Ricardo Calvo (1943-2002) was a medical doctor, Spanish International Master and a multilingual chess historian. As a chess historian, he set out to prove that Spain was the incubator of the major changes that occurred in chess in the late 15th century. He wrote an essay on the origins of chess and an article on the oldest chess pieces in Europe. In 1987, he was censured by a vote of 72-1 by FIDE for election fraud and racial slurs. In May 1998, he wrote, "Valencia, Spain: The Cradle of European Chess," which was presented at the Chess Collectors International in Vienna, Austria. In 1999, he wrote, "El Poema scachs d'amor." It was an analysis of the first preserved text about modern chess from the 15th century. Adolivio Capece (1947-) is an Italian chess player and chess historian. In 2001, he wrote, "Chess in History and Art." In 2003, he wrote, "History of Chess." Sean Coffey is an Irish chess historian. He writes on Irish chess history and records at IRLchess. David Cohen (1951- ) is a Canadian chess historian. He has written biographies of Canadian players, founded the Canadian Chess Hall of Fame, and has written a history of Canadian chess. Sarah Beth Cohen, also known as batgirl, writes historical chess articles. She has been writing chess articles for chess.com since January 2007. She has written extensively on Paul Morphy and women in chess. She has written hundreds of historical chess articles. Her blog focuses on modern chess history containing a lot of original research. Captain Hiram Cox (1760-1799) was a British diplomat and a member of the Asiatic Society. He came up with the theory that the origin of chess was a four-player game that originated in India in approximately 3000 BCE. This theory has since been debunked. The theory arose from an article by Cox published posthumously in Asiatic Researches, Volume 7, Calcutta, 1801, pp. 486-511. The article, "On the Burmha (Burma) Game of Chess Compared to the Indian, Chinese, & Persian Games of the same Denomination" proposed that the four handed version of the game played with dice was the earliest form of chess. Cox obtained his knowledge of Burmese chess during his residence at the court of Amarapura. Jon Crumiller is a chess collector and chess historian. He maintains an online antique chess collection at www.crumiller.com. His collection has been displayed several times at the World Chess Hall of Fame. He has collected over 600 ornamental and playing sets. Henry Alexander Davidson (1905-1973) was an American physician who wrote "A Short History of Chess," published in 1949. His history of chess articles also appeared in Chess Review magazine. Arnold Sheldon Denker (1914-2005) was a grandmaster, author, chronicler of chess, and was given the title of "Dean of American Chess." He wrote on the history of American chess and his experiences in his book, "The Bobby Fischer I Knew and Other Stories," published in 1995. Nathan Divinsky (1925-2012) was a chess master and chess writer. In 1990, he wrote "The Batsford Chess Encyclopedia." John Donaldson (1958- ) is an International Master and chess author of over 30 books. His chess books are mostly biographies of historical chess figures. His subjects have included Bobby Fischer, Frank Anderson, Elmars Zemgalis, Olaf Ulvestad, and Akiba Rubinstein. He has also provided many historical chess items to the World Chess Hall of Fame. Richard G. Eales, a chess master from Engand wrote, "Chess: The History of the Game," in 1984. He concentrated on what could be identified through archaeological and written evidence. Eales wrote that chess originated as a game of military symbolism and that the original form of chess was not played with dice. Juan Escourido was a PhD candidate in Hispanic Studies at the University of Pennsylvania and studied the medieval textual instrumentalizations of chess. In 2009, he wrote, "Politica y Erotica del Ajedrez en el Bajo Medioevo Europeo (The Politics and Erotics of Chess in the Early European Middle Ages). Gianfelice Ferlito (1933- ) is a member of the Chess Collectors International and has become an expert in chess history. He has done research on old Islamic chessmen and has written articles on it. Vlastimil Fiala of the Czech Republic is a dedicated and passionate chess historian. He is the chief editor of the Quarterly for Chess History, published by Moravian Chess. In 2004, he wrote, "The Chess Biography of Marcel Duchamp." Willard Fiske (1831-1904) was an American librarian, scholar, and chess historian. He helped organize the first American Chess Congress in 1857. In 1905, he wrote the scholarly volume, "Chess in Iceland and in Icelandic Literature." In 1912, his "Chess Tales & Chess Miscellanies," was published posthumously. Duncan Forbes (1798-1868) was a Scottish linguist, professor of oriental languages, and chess historian. In 1860, he wrote "A History of Chess." He confirmed that chess originated from India. Richard Forster is a Swiss International Master and chess historian. In 2004, he wrote, "Amos Burn " A Chess Biography." In 2011, he wrote, "The Zurich Chess Club, 1809-2009." Jeremy Gaige (1927-2011) was mostly an American chess archivist. He compiled four volumes of chess tournament crosstables and published basic biographical data on chess players. In 1987, he wrote "Chess Personalia A Biobibliography." It contained about 14,000 names of chess players with dates and places of birth and death. Jose Antonio Garzon Roger (1963- ) is a journalist, author and researcher in the field of Spanish chess history. In 2005, he wrote a history book, "The Return of Francesch Vicent," about the new modern chess in Valencia and the new powerful queen piece. He wrote about the lost chess book of Vicent, which was printed in Valencia in 1495. Jerzy Gizycki (1918-1998) was a Polish chess historian. In 1960, he wrote "Z szachami przez wieki I kraje" (History of Chess), published in Warsaw. Harry Golombek (1911-1995) was a British chess International master and honorary grandmaster, chess author, three times British Chess Champion, and wartime codebreaker. In 1976, he wrote "A History of Chess." In 1977, he wrote "Golembek's Encyclopedia of Chess." Henry J. Greenberg is a chess historian. In 1989, he wrote A History of the Origins of Chess. In 2015, he published, The Anti-War Wargame: A Comprehensive Analysis of the Origins of the Game of Chess. Dr. Ann C. Gunter is an art historian. In 1991, she reported about one of the surviving texts in Middle Persian, "Wizarishn I catrang ud nihishn I new-atashir" (The Explanation of Chess and Invention of Backgammon). In 1991, she wrote an article called, "Art from Wisodn: the Invention of Chess and Backgammon," published in Asian Art. Dr. Tim Harding (1948- ) is an Irish Senior International Master of Correspondence chess and author with particular expertise in correspondence chess and its history. His 2009 PhD thesis was on the history of correspondence chess in Britain and Ireland from 1824 to 1914. In 2012, he wrote "Eminent Victorian Chess Players: Ten Biographies." In 2015, he wrote "Joseph Henry Blackburne: A Chess Biography." William Hartston (1947- ) is an English International Master and chess author. He has won the British Championship twice. In 1985, he wrote "The Kings of Chess: A history of chess traced through the lives of its greatest players." Dr. Eliot Hearst is a professor of psychology and a U.S. Life Senior Master. In 2009, he was the co-author with John Knott of "Blindfold Chess: History, Psychology, Techniques, Champions, World Records, and Important Games." Hermann Helms (1870-1963) was an American chess writer and promoter. He won the New York State Chess Championship twice. He was a chess reporter for The New York Times for over 50 years. He published and edited the American Chess Bulletin from 1904 to 1963. He wrote chess columns for the Brooklyn Daily Eagle from 1893 to 1955. He was one of the greatest journalists in the history of American chess. John Samuel Hilbert is an American chess historian who has written over a dozen chess books on the history of chess and some of the lesser-known historical chess players. In 2002, he wrote "Essays in American Chess History." In 2012, he wrote "Writings in Chess History." Peter Holmgren is a Swedish chess historian. He is the author of Stockholms Schackforbund 1911-2011. H.F.W. Holt was a historian on Chinese chess. He wrote an article on the Chinese game of chess which appeared in the Journal of the Royal Asiatic Society of Great Britain and Ireland, volume 18, 1885, pp. 352-365. David Vincent Hooper (1915-1998) was a British chess player and writer. He was an expert on chess history of the 19th century. In 1984, Hooper and Kenneth Whyld wrote "The Oxford Companion to Chess." A second edition came out in 1996. Israel Albert Horowitz (1907-1973) was an American International Master and chess writer. In 1973, he wrote, "The World Chess Championship; a History." Leo Hovestadt (1953- ) is a chess historian from the Netherlands who writes chess articles on various historical aspects at Carolus Chess. Dr. Michael Hudson is a chess historian. His dissertation at the University of California, Santa Cruz, was "Storming Fortresses: A Political History of Chess in the Soviet Union, 1917-1948." Gerhard Hund (1932- ) is a German computer scientist and chess historian. In 1996, he launched www.teleschache.de and Germanbase. Thomas Hyde (1636-1703) was an English orientalist, librarian, and chess historian. In 1694, he wrote De Ludis Orientalibus (the Book of Oriental Games), which included chess and its origins. Initiativ Gruppe Koenigstein (IGK) is a group of chess historians and chess afficianados founded in Germany in 1998. William Jones (1746-1794) was an Anglo-Welsh philogist, scholar of ancient India, and chess historian. He wrote on the Indian game of chess. Gerhard Josten (1938- ) is a German chess historian. In 2001, he wrote, "Chess — A Living Fossil." In 2014, he wrote, "On the Silk Road to the source of chess." Jan Kalendovsky (1947- ) is a chess author and chess historian. In 1989, he wrote, "Richard Reti, Sachovy Myslitel" (Richard Reti, Chess Thinker). In the 1990s, he wrote several volumes on the complete chess games of Alexander Alekhine. He wrote articles on the history of chess in Czech countries. Garry Kasparov (1963- ), former world chess champion, has written dozens of chess books. His "My Great Predecessors" series is essentially the history of all world chess champions. Dr. Victor Keats is a chess historian and has lectured at the British Museum. He has lectured on chess history at Chess Collectors International (CCI) conference in Munich and New York. In 1994, he wrote, "Chess, Jews, and History." In 1995, he wrote, "Chess Its Origin." Raymond Keene (1948) is an English Grandmaster, journalist and author. He has written over 100 books on chess. In 1990, he wrote, "Chess: An Illustrated History." 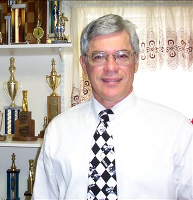 Taylor Kingston is an American National Master (NM), a USCF Postal Master, and chess historian. He frequently wrote on chess history at Chess Cafe. George Koltanowski (1903-2000) was an International Master and honorary Grandmaster. He was a chess promoter and writer and chess historian. During his lifetime, he was given the title of "Dean of American Chess." He wrote chess history articles for many California chess magazines. He wrote more than 19,000 chess columns for The San Francisco Chronicle over a period of 52 years. Tim Krabbe (1943- ) is a Dutch journalist and chess historian who has, for years, been collecting far-fetched facts from the history of chess. His Tim Krabbe's Chess Curiosities web site contains chess history and chess records. In 1985, he published Chess Curiosities. Baron Tassilo von Heydebrand und (von) der Lasa (1818-1899) was a German chess master, diplomat, author, and chess historian. He wrote on the history of the game. In 1837, he was one of the seven co-founders of the Berlin Chess School (the Berlin Pleiades), which was the first "research group" in the history of chess. He promoted the first German chess magazine, Schachzeitung (later Deutsche Schachzeitung). In 1897, he wrote Zur Geschichte und Literatur des Schachspiels, Forschungen (Researches in the History and Literature of Chess). Kerry Lawless is a national master and chess historian, mostly of California Chess History. He runs the www.chessdryad.com website, the definitive history of California chess. He is Director of the Berkeley Chess Club. Mario Leoncini (1956- ) is an Italian national master, writer, and chess historian. He has written articles and books on Italian chess history. Dennis Leventhal is a chess historian and active in Asian studies. In 1978, he wrote, "The Chess in China." Jean-Marie Lhote (1926- ) is a French engineer and chess historian. In 1966, he wrote "Historie des jeux de societe" (History of Board Games). In 2002, he wrote an article called "Board Game Studies" which was published in the International Journal for the Study of Board Games. David H. Li (1928- ) is a Chinese chess historian. In 1996, he wrote "First Syllabus on Xiangqi, Chinese Chess." In 1998, he wrote "The Genealogy of Chess." He concludes that an early version of chess called xiangqi was invented in China in 203 BC. Dr. Antonius van der Linde (1833-1897) was a Dutch historian and chess historian. He is considered the first well-known chess historian. In 1874, he wrote "Geschichte und Litteratur Des Schachspiels" (History and Literature of Chess). Isaak M. Linder (1920-2015) was a renowned Russian chess historian and author. In 1992, he wrote "Chess in Old Russia." In 2001, he co-wrote with his son a 972-page book called, "Kings of the Chess World." Linder wrote over 400 publications on native and foreign chess culture. Dr. Arthur Anthony Macdonell (1854-1930) was a noted Sanskrit scholar and chess historian. He published a scholarly monograph, "The Origin and Early History of Chess," which appeared in the Journal of the Royal Asiatic Society of Great Britain and Ireland, January 1898, p. 117. Sir Frederic Madden (1801-1873) was an English palaeographer and chess historian. He conjectured that chess was introduced in Europe from Constantinople, spreading to Denmark. The Danes then introduced chess to England. In 1832, Madden wrote, "Historical Remarks on the Introduction of the Game of Chess into Europe." Robert John McCrary is a chess historian. In 1982, he wrote The Birth of the Chess Tournament. In 1998, he wrote The Hall-of-Fame History of US Chess. Alan McGowan is a Scottish chess historian. He has written several historical articles on chess at Chess Scotland. Egbert Meissenburg (1937- ) is a renowned chess historian and bibliographer. In 1967, he wrote an article called "Die deutschen Schachzeitschriften von 1945 bis 1965," published in Deutsch Schachblatter. Roberto Messa (1957- ) is an Italian International Master and chess historian. He maintains a website with historical chess articles and chess pictures at http://www.soloscacchi.net/. Russell (Rusty) Miller is a chess historian of Northwestern chess. He has written extensively on the history of chess in the Washington State area. Dr. Peter J. Mont wrote The Classical Era of Modern Chess, published by McFarland in 2014. He has a doctorate in history from Leiden University. Dr. Edwin (Ned) S. Munger (1922-2010) was a geography professor at Caltech and a chess historian. He was an expert on the history of ancient chess sets. He had written several volumes of books called Cultures, Chess & Art. He owned over 350 chess sets and boards from all over the world. H. J. R. Murray (1868-1955) was an English educationist and prominent chess historian. He was the first to publish the theory that chess originated in India. In 1913 he published his most significant work, A History of Chess. In 1917, he wrote A Short History of Chess, which wasn't published until 1963. Sonja Musser Golladay wrote a dissertation on Alfonso X's "Libro de los juegos" (Book of Games), which included a history of chess. P. V. N. Namboodiripad (1937- ) is an Indian chess historian. In 2015 he wrote Chessinoru Padapusthakam, a comprehensive book explaining chess theory and history in Malayalam. Dr. Joseph Needham (1900-1995) was a recognized authority on ancient Chinese civilizations and had written several articles on the history of chess. He postulated that chess originated in China. In 1962, he wrote Thoughts on the Origin of Chess. Dr. Meindert Niemeijer (1902-1987) was a Dutch lawyer, International Master, and chess historian. His chess library formed the basis of one of the largest collections of chess books in the world. Daniel E. O'Sullivan is a chess historian who wrote Chess in the Middle Ages and Early Modern Age in 1912. Armin von Oefele (1879-1925) was a chess historian who wrote Das Schachspiel der Bataker in 1904. He gave a full account of the history of Malay chess. John Pagnotti is a teacher and chess historian. Along with William Russell, he wrote "Exploring Medieval European Society with Chess: An Engaging Activity for the World History Classroom," which appeared in The History Teacher, Vol 46, Nov 2012. Antonio Panaino (1961- ) is a Full Professor if Iranian Studies at the University of Bologna. He has written on the history of Sasanian and Persian chess. Vijay D. Pandit is a chess historian and the author of Western Chess in British India (1825-1947), written in 2011. In 2014, he and Manuel Aaron wrote a book called Indian Chess History. Richard Pankurst is a chess historian who has written on this history of chess in Africa. In 1971, he wrote "History and Principles of Ethiopian Chess," which appeared in the Journal of Ethiopian Studies. Jean-Michel Pichin is a chess historian, chess journalist (Europe Echecs), and a member of the Chess Collectors International. In 1997, he wrote Roi des jeux, jeu des rois Les echecs. Dr. Avital Pilpel is a philosophy professor and an Israeli chess historian. He has written extensively on Jewish chess history. Jacques Pope is a chess historian who maintains the chess archaeology site at www.chessarch.com. In 1996, he wrote Harry Nelson Pillsbury: American Chess Champion. Bill Price is a chess historian who wrote The History of Chess in Fifty Moves in 2015. Peter Ravilious (1939-2016) was a British chess historian. His book on the 19th century child prodigy Lilian Baird also included a history of chess problems. From 2003 to 2009 he wrote the "Quotes and Queries" column for the British Chess Magazine. Hans Ree (1944- ) is a Dutch Grandmaster, chess columnist, chess writer, and chess historian. He has written extensively on the history of chess. In 1999, he wrote The Human Comedy of Chess: A Grandmaster"s Chronicles. Hanon Russell is a lawyer, chess collector, chess historian, and chess expert. He has been publishing chess books for over 30 years. He is the former owner of ChessCafe that included many historical chess articles. William B. Russell III is a teacher and chess historian. Along with John Pagnotti, he wrote "Exploring Medieval European Society with Chess: An Engaging Activity for the World History Classroom," which appeared in The History Teacher, Vol 46, Nov 2012. Allesandro Sanvito (1938- ) of Milan is a chess historian. He has written 18 chess books and over 200 chess articles on the history of chess. Dany Senechaud is a French chess historian. In 1997, he wrote, Emil Joseph Diemer: missionnaire des echecs acrobatiques. In the past, he has written essays on the culture and curiosities of chess. Dr. Daaim Shabazz (1962- ) is a chess enthusiast, journalist, and historian. He is the editor and founder of The Chess Drum, an all-purpose chess site that specializes in Black chess players, or those of African ancestry. He has written on the history of chess in Africa. Miguel Angel Sanchez is a chess journalist and historian from Cuba, now living in the United States. In 1978 he published Capablanca: A Chess Biography. It was updated and reprinted in 2015. David Shenk is an author, lecturer, and historian. In 2006, he wrote The Immortal Game: A History of Chess, about the history of chess. Walter Shipman (1929-2017) was a lawyer, an International Master (1982), and chess historian. He maintained the history of the Manhattan Chess Club back to 1883. Richard Shorman is a chess coach, writer, photographer, and chess historian of Northern California. Andrew Soltis (1947- ) is an American Grandmaster, author, columnist, and chess historian. He has written dozens of chess books, many dealing with the history of chess. In 1999, he wrote Soviet Chess 1917-1991. In 2011, he wrote The United States Chess Championship, 1845-2011. He has authored several chess biographies of chess grandmasters. Dr. Jeremy P. Spinrad is a Professor of Computer Science and a chess historian. He has collected all the important chess results from 1836 to 1863. He has written several articles on the history of chess. Dr. Fritz Strohmeyer (1869-1957) was a chess historian that specialized chess found in mediaeval French literature. In 1895, he wrote an essay called "Chess in Old French." Dr. Renate Syed is a chess historian. In 2008, she wrote "War, Peace and Chess." In 2001, she wrote "Kanauj, die Maukharis und das Caturanga: der Ursprung des Schachspiels und sein Weg von Indien nach Persian," (Kamauj, the Maukharis and the Caturanga: the origin of chess and its spread from India to Persia). Dominique Thimognier (1960- ) is a French chess historian. He maintains a French web site and the history of French chess at Heritage des Echecs Francais. Anders Thulin is a chess historian and has collected old chess problem books and have made them available in electronic editions.. In 1999, he wrote, "Reference Literature for Chess History: A Combined Bibliography and Want List," for www.chessarch.com. Olimpiu G. Urcan (1977- ) is a Singapore-based journalist and an author of historical biographies of chess players. He is the author of W.H.K. Pollock: A Chess Biography, Adolf Albin in America, Julius Finn: A Chess Master's Life in America, and Arthur Kaufmann, A Chess Biography. He has contributed many history-related articles to some of the world's top chess magazines. Dr. Bo Utas (1938- ) is a Swedish linguist, Iranologist, and chess historian. In 1991, he wrote The History of Chess in Persia. John van Manen (1922-2000) was Australia's greatest chess historian. In 2011, he wrote, The Chess Literature of Australia and New Zealand. Bill Wall (1951- ) is a chess author and amateur chess historian who has written dozens of historical chess articles for a variety of chess magazines and blogs. He has written articles on computer chess history, California chess history, history of chess sets, correspondence chess history, history of chess stamps, history of chess tournaments, history of chess clubs, chronology of chess events, etc. Mark Weeks is a chess historian who has written dozens of historical chess articles on his blog site and elsewhere on the Internet. He has written on the origin of chess for his Chess for All Ages blog at www.mark-weeks.com/aboutcom/ web site. Dr. Govert Westerveld (1947) is a Dutch writer and chess historian. In 2015, he wrote. The Birth of a new Bishop in Chess. In 2016, he wrote Following the Footsteps of Spanish Chess Master Lucena in Italy. He has written a series of books on the Spanish Origin of checkers and chess. He has written over 80 books on the history of chess, checkers, and games. John Griswold White (1845-1928) was a chess connoisseur, bibliophile, and chess historian. He owned the largest chess library in the world, now located in the Cleveland Public Library. The John G. Collection has 35,000 volumes and subscribes to 180 chess and game periodicals. Jay Whitehead (1961-2011) was a former US Junior chess champion and International Master who spent his last few years devoted to historical research and collecting chess games prior to 1867. He spent much of his time researching old newspaper archives for chess games and chess articles. Ken Whyld (1926-2003) was a British chess author and researcher, best known as the co-author with David Hooper of The Oxford Companion to Chess. He made his living in information technology while writing books on chess and researching its history. After Whyld's death, the Ken Whyld Association was established with the aim of compiling a comprehensive chess bibliography in database form and promoting chess history. He was a chess columnist of the British Chess Magazine for 25 years. William Henry Wilkinson (1858-1930) was a British Sinologist and historian of board games. In 1893, he wrote A Manual of Chinese Chess. In 1895, he wrote Korean Chess. Gareth Williams is a chess historian and owner of one of the most extensive collections of chess memorabilia in Europe. In 1998, he wrote The Amazing Book of Chess. In 2000, he wrote Master Pieces: The Architecture of Chess. Fred Wilson is a book dealer and chess historian. In 1981, he wrote A Picture History of Chess. Edward Winter (1955- ) is a chess archivist, chess author, and chess historian. He has been writing a regular column on chess history called 'Chess Notes" since 1982, now located at www.chesshistory.com. Beginning in 1996, selected collection of Chess Notes have been published in book form. He has written 6 chess books. Stephen Wright is a chess master and Canadian chess historian. He originated and maintained the British Columbia Chess History website. Marilyn Yalom (1932- ) is a senior scholar at Stanford University and chess historian. In 2001, she wrote Birth of a Chess Queen: A History.